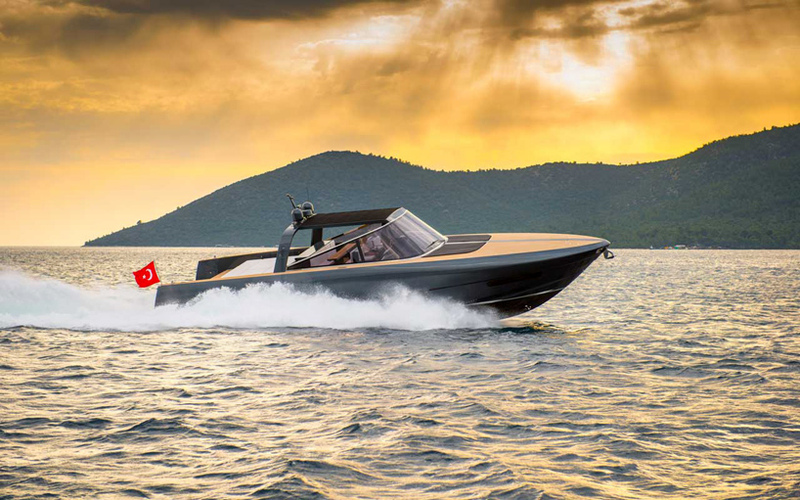 working alongside high-end turkish boat manufacturers alen yacht, foster + partners has unveiled a 68-foot motor yacht capable of speeds of up to 45 knots. 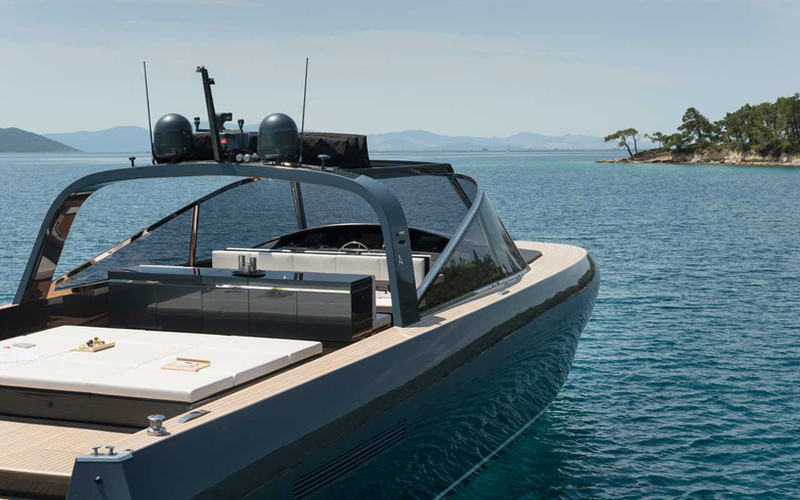 the fast and agile vessel – named ‘alen 68’ – boasts a streamlined form providing 20 percent more volume than comparable yachts thanks to a flexible internal pod system. unlike typical boat fittings, the furniture does not touch the inside of the hull, but traces the contours of its white leather walls. stairs lead downwards to the prow where top lighting illuminates the lounge below. internally, the open-plan layout can accommodate up to twelve guests at any one time, with smaller volumes capable of hosting more intimate events. a master suite features a double bed and leather chaise longue, while the galley and bathroom are located in the center of the boat. either side of the wooden foredeck, two further black fabric recliners are arranged in order to maximize flexibility, while jet skis and paddle boards can also be accommodated. 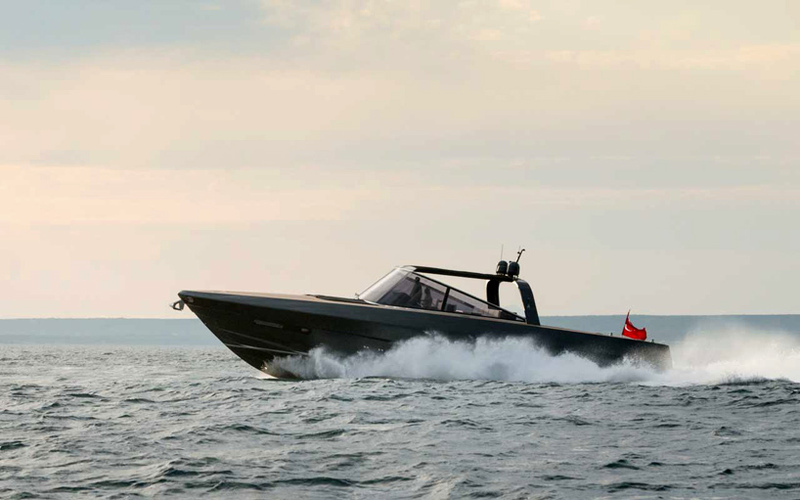 envisioned as the cover of a sports car, a black fabric shading screen can partially or fully enclose the yacht’s seating area – protecting the craft in all weathers. 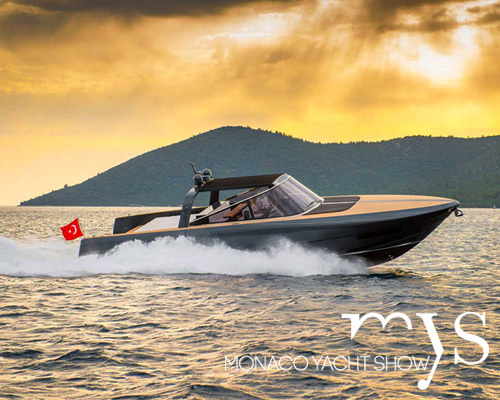 ‘alen 68’ is presented at monaco yacht show 2014. How odd. 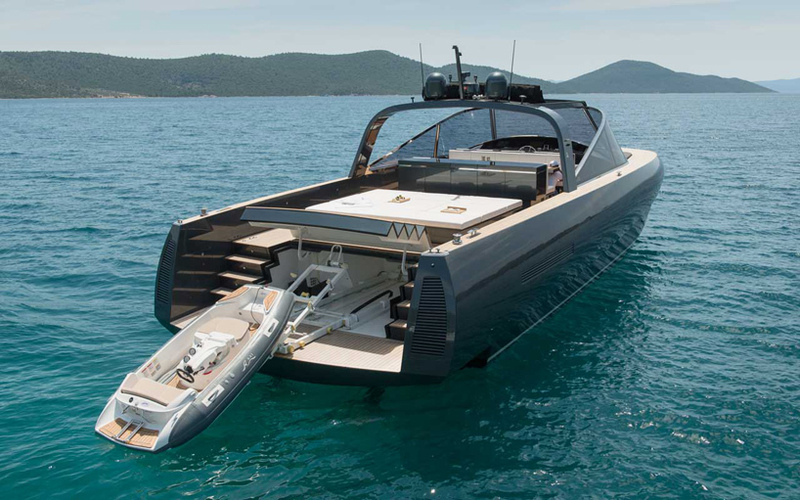 A yacht disguised as an oversized speedboat.